Crock attributed to Abraham Spencer, collection of the Museum of the Shenandoah Valley. I received a grant in June of 2018 to continue research on two free potters of color – Abraham Spencer of Virginia and Lucius Jordan of Georgia. 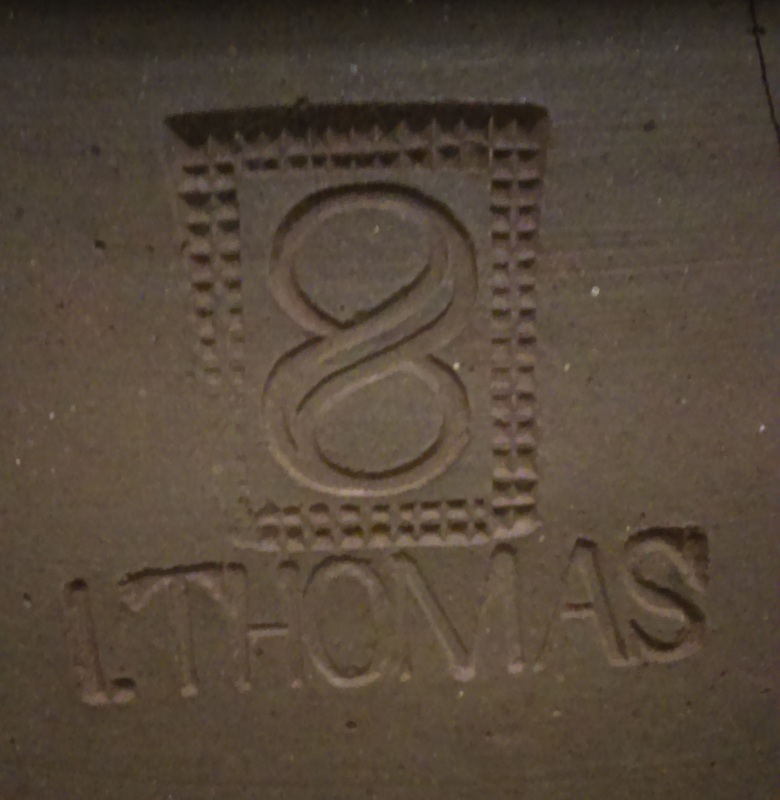 Closeup of stamp from Uzziah Kendall’s Cincinnati stoneware factory. I continue work begun in 2012 on potters working in Maysville, Kentucky in the 19th century and their connections to Cincinnati and Point Pleasant, Ohio. Past projects have included historic American kilns and weavers working in Bracken County, Kentucky in the early 19th century.